Is it Hot in here, or is it just those Limestone Fireplaces? - Ancient Surfaces Purveyor of Premium Antique Limestone Elements. Is it Hot in here, or is it just those Limestone Fireplaces? Now that cold weather is about to make a grand entrance once more, it’s got us thinking about fireplaces and about having a head start before the season is in full blizzard swing. 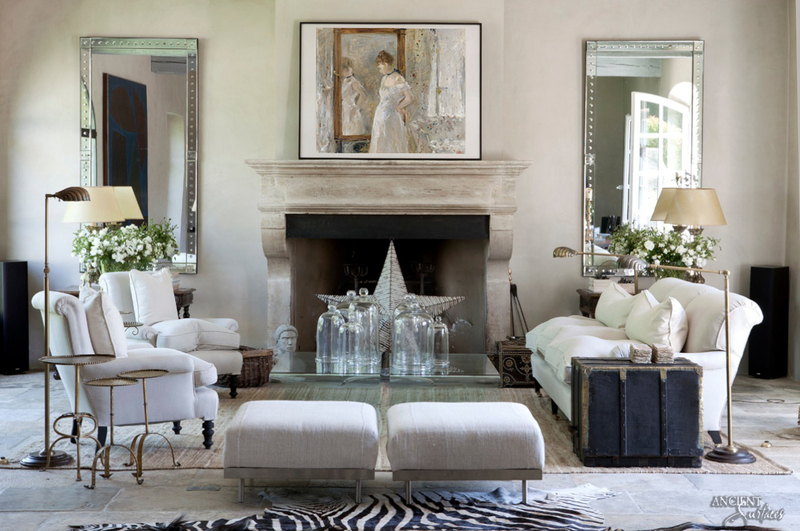 Fireplaces can really make a design statement in a house and reinforce a certain style or look. And some of them, ones with oversized fireboxes, are big enough to walk into (well, almost). There is something so romantic about this look. Old world, European, historical…they all describe an interior that can have a grand fireplace. Whatever the description, these fireplaces featured below are most impressive, and you can practically build a bonfire in each one!